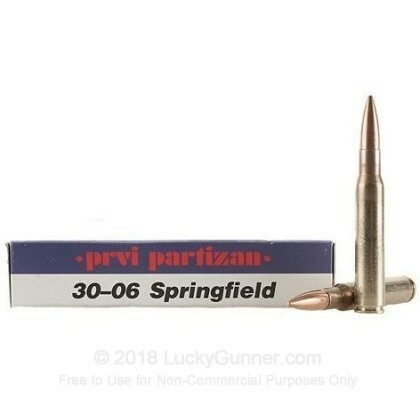 Newly manufactured by Prvi Partizan, this product is excellent for range training and target practice. 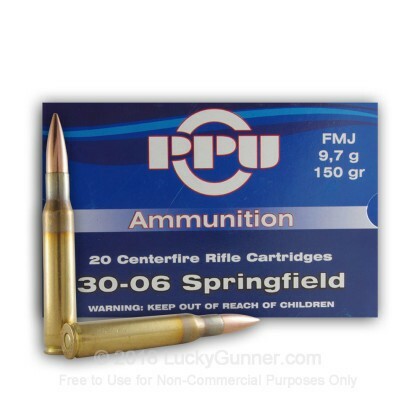 It is both economical and precision manufactured by an established European cartridge producer. 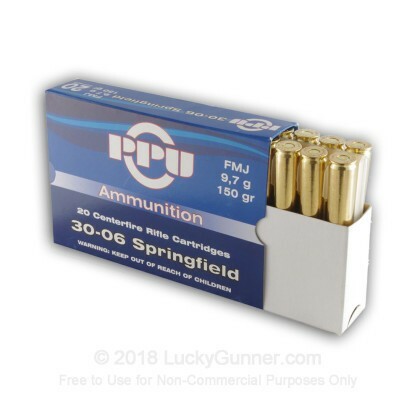 Each round has a boxer-primed brass casing, non-corrosive propellant, and a full metal jacket bullet. 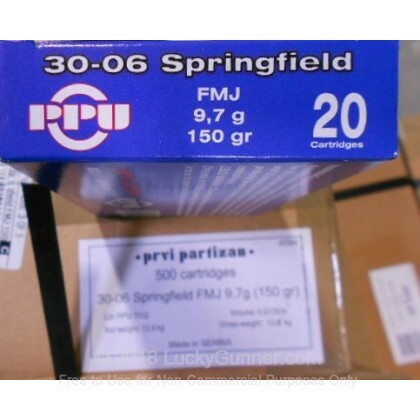 We don't have any reviews yet for this particular .30-06 ammo from Prvi Partizan. 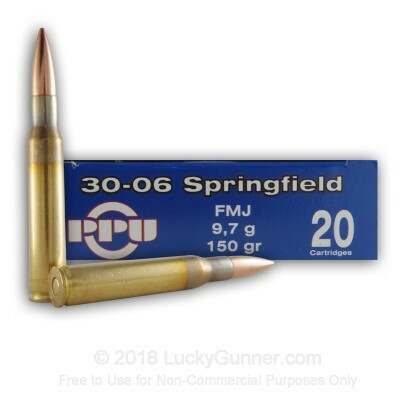 If you'd like to be the first to review this particular .30-06 ammo from Prvi Partizan, fill out the form below.